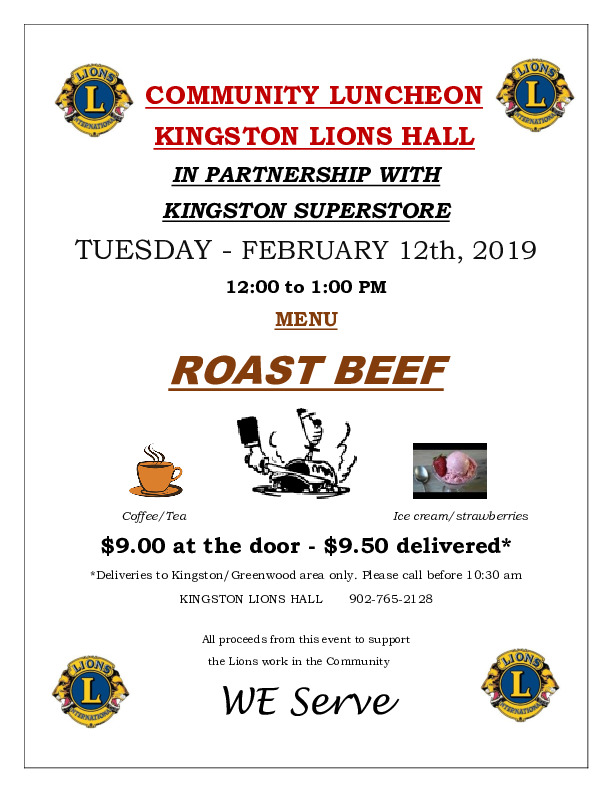 In partnership with Kingston Superstore. The menu is Roast Beef with all the fixings, tea, coffee, ice cream & strawberries. Deliveries to Kingston/Greenwood area only. Please call 902-765-2128 before 10:30 am. 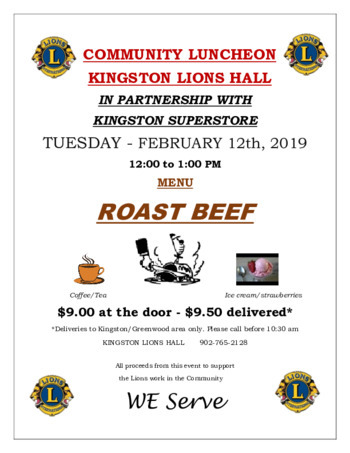 All proceeds from this event will support Lions work in the Community. Cost $9 at the door - $9.50 delivered.